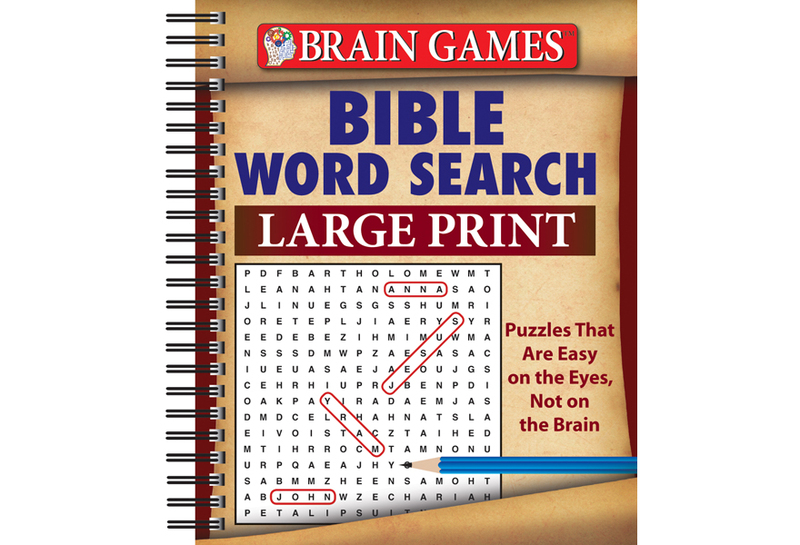 With easily readable type, these Brain Games Large Print Word Search gives your eyes a break while giving your brain a workout. 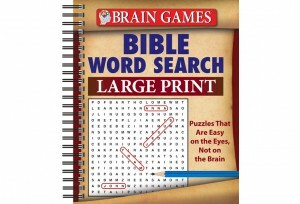 Includes more than 80 word search puzzles about biblical people, places, or events. Provides a variety of types of word searches. Compact and portable, it can be toted everywhere so you always have soul-enriching, brain-building fun on hand!